Washington State associations professionals are decision makers with spending authority. WSAE members are always looking for quality vendors and suppliers. 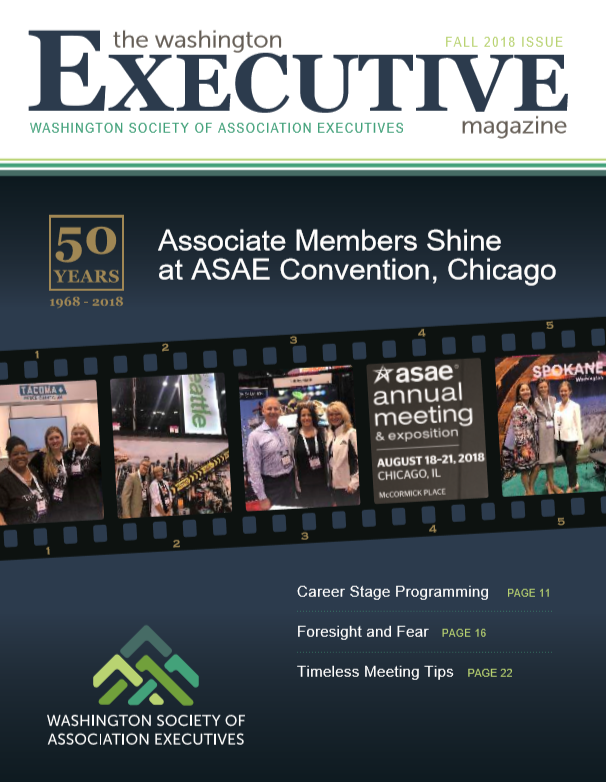 Our members use WSAE events and publications to do their shopping. Sponsorship and advertising with WSAE is among the quickest way to raise your profile with our membership. Ads must be submitted camera-ready (i.e. the artwork is the correct size and resolution, and is ready for publication). Ads must be saved as high resolution (300 dots per inch) pdf files. Color ads, including all embedded images, must be saved as CMYK (not RGB). Gray-scale ads, including all embedded images, must be saved as gray-scale. We will not edit your artwork. The magazine is printed on full-color, 32-40 pages.